Wat is dit voor site? Wij zoeken de goedkoopste boeken op internet. 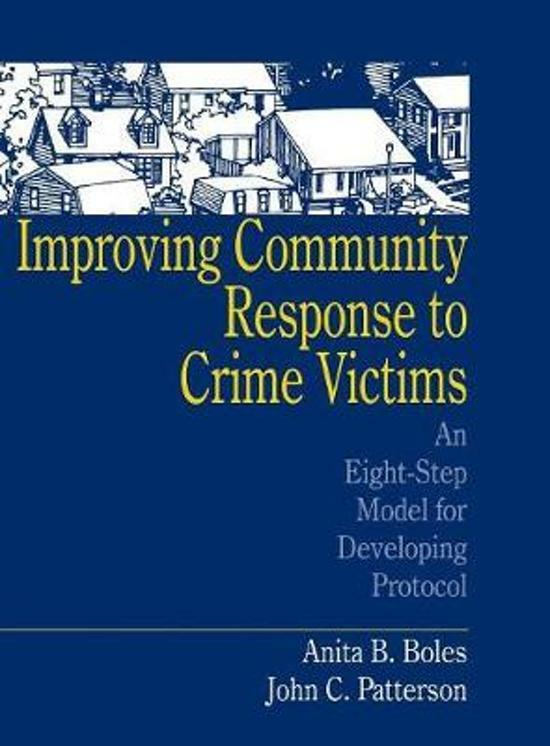 Improving Community Response to Crime Victimsvonden we het goedkoopst op Bol.com voor €124.50. We hebben gezocht in nieuwe en tweedehands boeken. Rechtsonderaan de pagina kan je het boek direct bestellen	via Bol	.com. Interdisciplinary teams, lauded as the most effective way to investigate and prosecute physical and sexual abuse cases, are often difficult to create and maintain. This book assists in demystifying the process of establishing such teams with an eight-step model - the Protocol Development Cycle'. Through extensive contact with a wide variety of professionals and communities, the authors provide accessible and well-organized guidelines for those who want to start and maintain an interagency team to respond to almost any type of interpersonal crime. In a practical and hands-on style, they include exercises and training materials, along with sample letters, forms, press releases and other documents designed to aid community teams assess the response to crime and identify gaps in services.